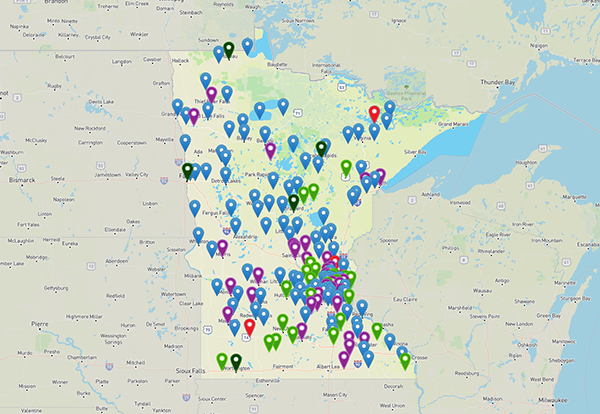 View educational equity programs located across the state on an interactive map, or scroll down for a complete list of resources available to educators at the University of Minnesota. For questions or additional resources, contact us at edequity@umn.edu. Resources and professional development on teaching approaches that support reading, particularly for students from diverse backgrounds. An evidence-based intervention that increases elementary and secondary student physical activity levels learned onsite in a two hour workshop. The goal of CORE is to increase the number of multicultural Minnesota students that graduate from the University annually by 2025. A portal to Minnesota's online library services, to explore the Electronic Library for Minnesota, MnLINK Gateway, Minnesota Reflections, Research Project Calculator, and AskMN - The Librarian Is In! Access to the University of Minnesota Library resources for Minnesota History Day, including: Catalog, Books, Government documents, Microfilm, Microfiche. Non-students cannot borrow books, but may make photocopies.